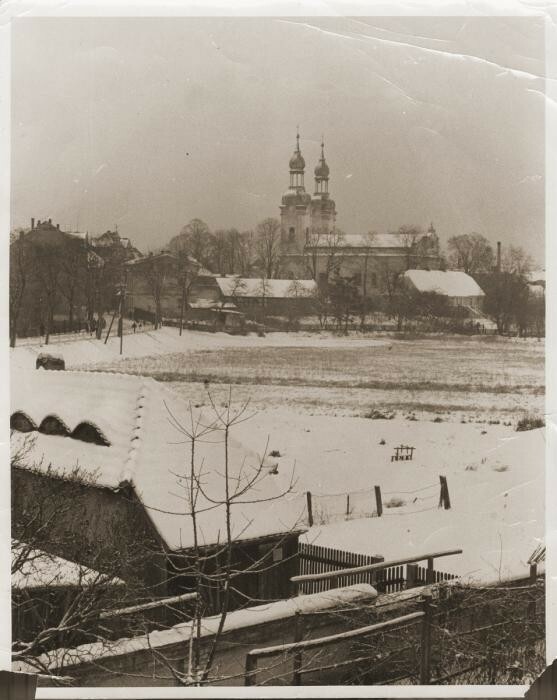 View of Zbaszyn, the site of a refugee camp for Jews of Polish nationality who were expelled from Germany. The Jewish refugees, hungry and cold, were stranded on the border, denied admission into Poland after their explusion from Germany. Photograph taken between October 28, 1939, and August 1939.